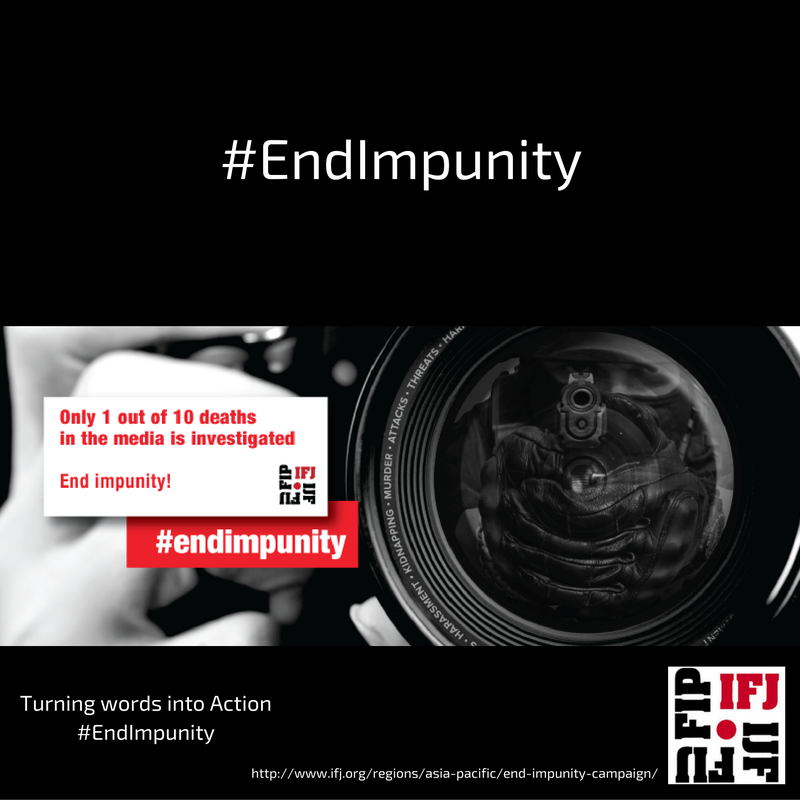 Each year, IFJ launches its annual End Impunity campaign with the aim to highlight the culture of impunity across the world for crimes against journalists. 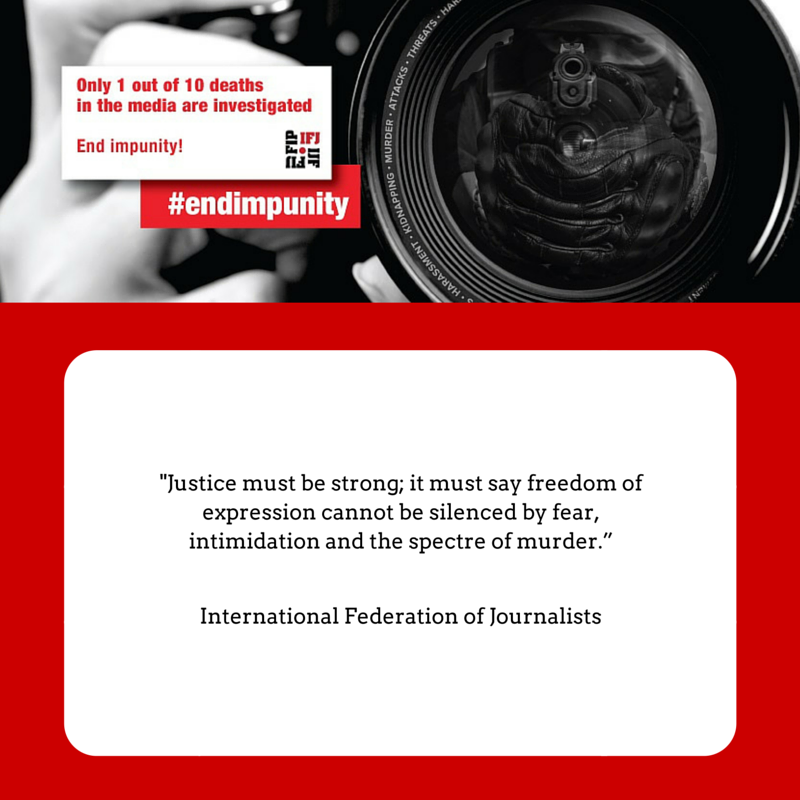 The campaign is launched on November 2, the UN International Day to End Impunity for Crimes Against Journalists, and ends on November 23, the anniversary of the Ampatuan Massacre in the Philippines, the single deadliest attack on journalists in history. 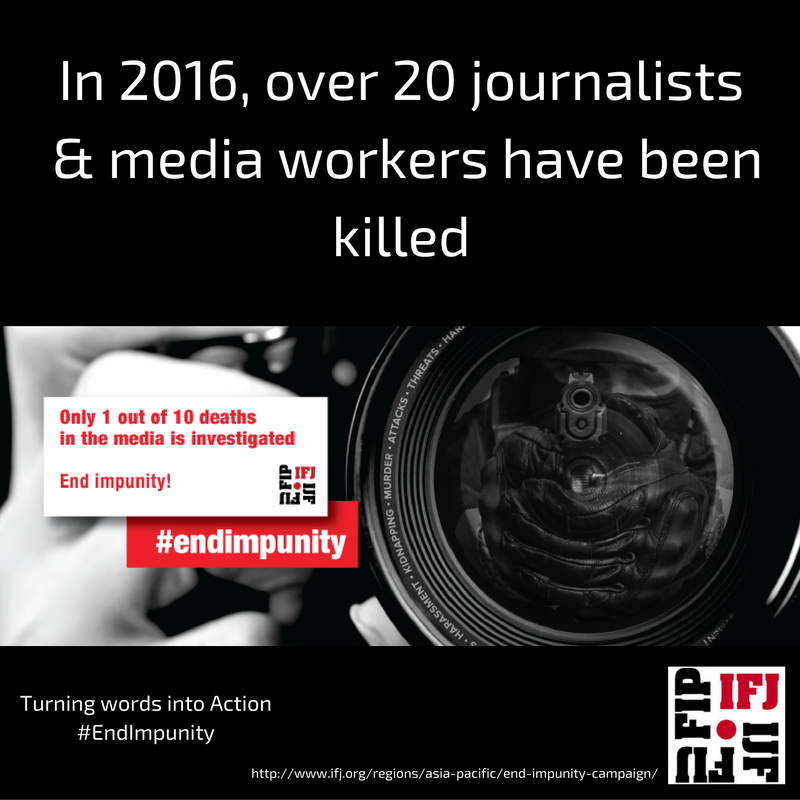 Although there are a few triumph stories around the world of cases that are successfully resolved, the culture of impunity still looms large, with almost 9 out of 10 cases of violence against journalists going unprosecuted. The IFJ Asia Pacific’s End Impunity campaign this year highlights the extent of impunity for crimes against journalists across the world, and hones in on ‘cultures’ of impunity that are being fostered in different countries in the Asia Pacific, particularly those in India, Afghanistan, Pakistan and the Philippines. India and Pakistan are focus countries for the IFJ’s global campaign. AFGHANISTAN remains an unstable environment for journalists, highlighted by the gruesome suicide bombing of media workers in Tolo in January 2016. PAKISTAN remains a volatile environment for media workers with gradual action on impunity beginning to make an impact. See country report on impunity here. 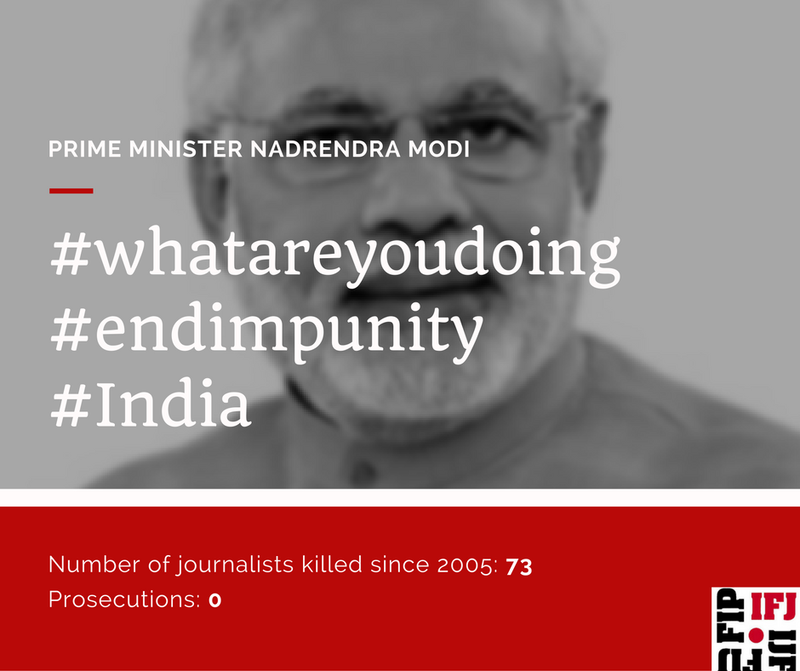 INDIA has seen a marked decline in the safety situation for journalists in the last 3 years, with a lack of political will to solve cases of violence. 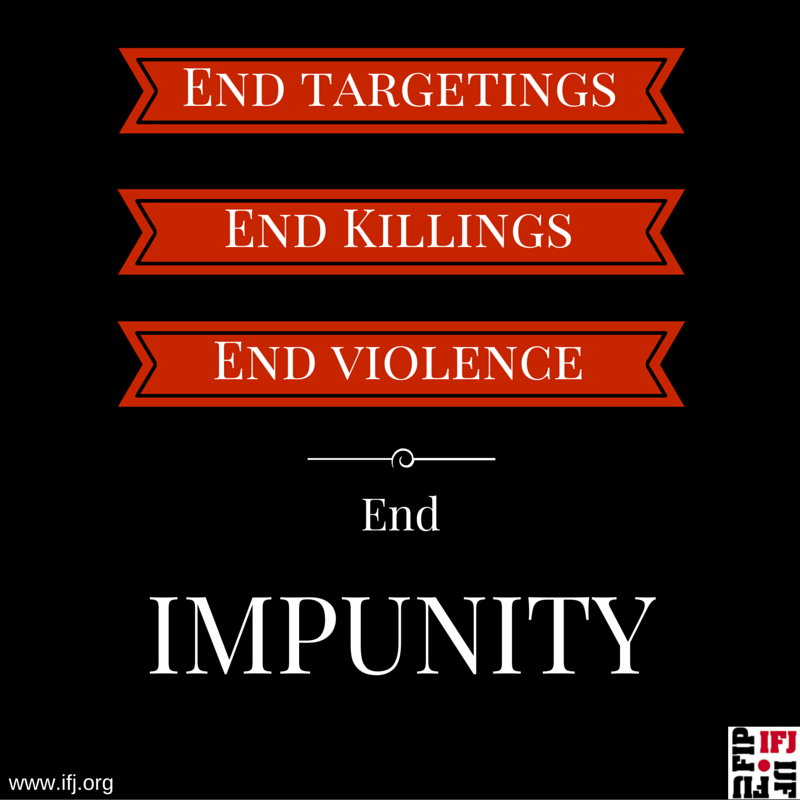 See country report on impunity here. 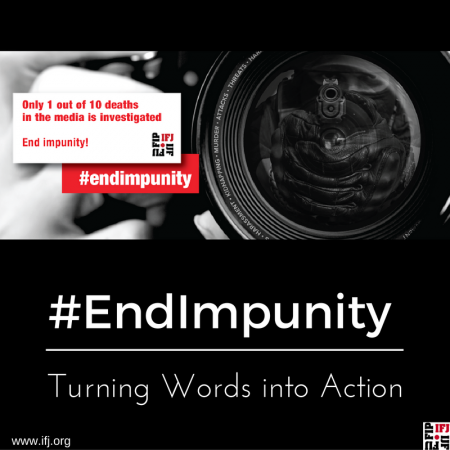 PHILIPPINES has been a killing field for journalists throughout history, exemplified most clearly by the 2009 Ampatuan Massacre in which 32 journalists were killed. Not a single person has been found guilty 7 years later. The human rights situation remains highly concerning under President Rodrigo Duterte. INDONESIA is an unpredictable political and religious climate for media workers, with a particularly concerning involvement of state actors in the repression of press freedom. In 2016, the IFJ is focusing on two countries in the Asia Pacific, India and Pakistan, as part of the global campaign. This region remains one of the most deadly places in the world to work as a journalist. Read more on our focus countries using the following interactive map. Download and share following graphics on social media. Click on image to download full size or click on Tweet It to tweet the image. 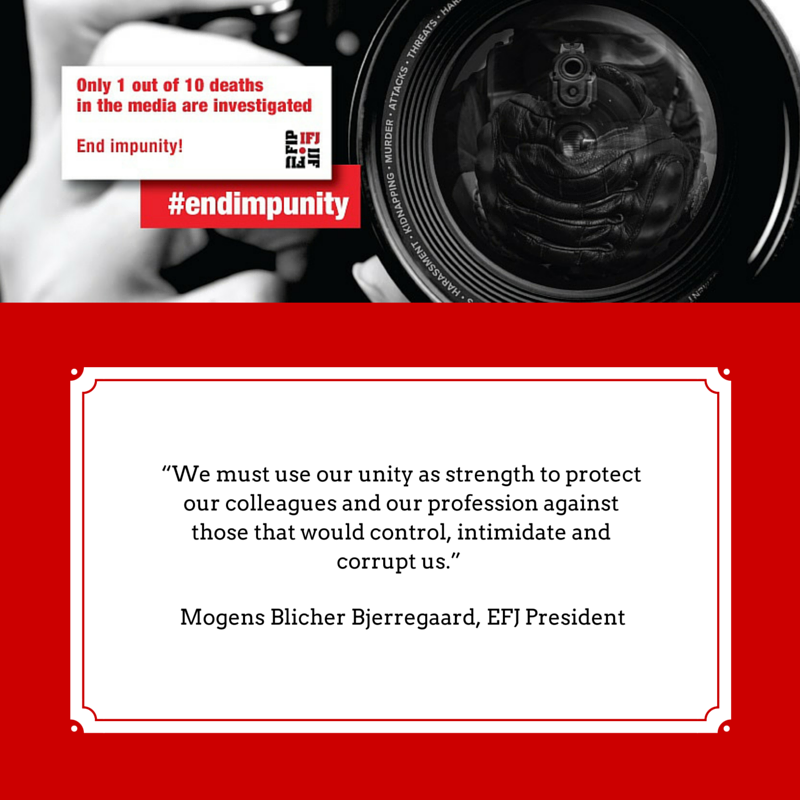 The Safety of Journalists and the Danger of Impunity, UNESCO Director General’s report for 2016. 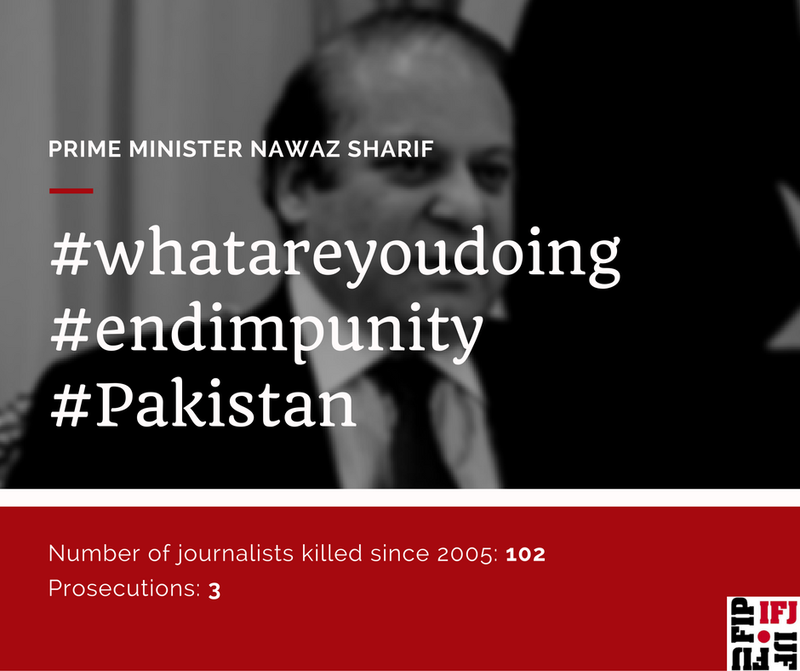 This report, released every two years, includes information on judicial inquiries into the killings of journalists, and other steps that governments are taking to end impunity. Resolution of the UN Security Council 1738 (2006): the resolution condemns attacks against journalists in conflict situations and urge “states and all other parties to an armed conflict to do their utmost to prevent violations of international humanitarian law against civilians, including journalists, media professionals and associated personnel”. Resolution of the UN Security Council 2222 (2015) urges member states to take appropriate steps to ensure accountability for crimes committed against media workers during armed conflicts and calls on all parties of an armed conflict to comply fully with the obligations applicable to them under international law related to the protection of civilians in armed conflict, including journalists. Download and share following graphics on social media. Click on image to download full size. Send letters to your own government or to the government of targeted countries holding them accountable for their impunity records. Organise a visit to their embassies in your country to deliver the letter, take photographs and disseminate them widely, send them to us so that we can share them in our own network and support you.